Today's post is simple. It's another after hours shot, with the gateway to adventure on exhibit. When Adventureland first opened, the Jungle Cruise was about the only attraction there, and the trees and foliage hadn't yet grown into the tall, lush vegetation that they are today--the kind that transports guests out into the heart of the jungle wilderness. But today, it certainly does feel like a jungle in there--sometimes because the crowds are so clustered--but mostly because the theming has grown to be so immerssive and atmospheric. This is also the only time you'll ever see the Dole Whip stand have no line--after it's closed! 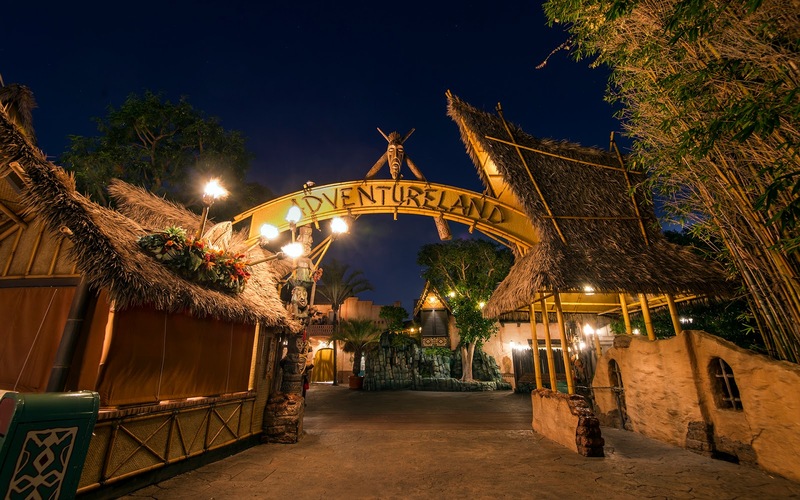 Entering Adventureland when it's time to exit.